WhatsApp as we all know is the World best instant messaging and communication app. Recently WhatsApp Web, a web browser version of the app, was released for PC/laptop users. This new version allows users to use WhatsApp through internet browsers on desktops/laptops and is compatible with Chrome, Firefox, Opera, Safari and Internet Explorer. As you might have noticed new Microsoft Edge browser is missing from the list. Edge browser was released with new Windows 10 and is considered by many as the super fast best web browser by Microsoft to data, and now Windows 7 & 8/8.1 users can also install Edge on their PCs/laptops. If you want to use WhatsaApp Web for Windows 10/8/8.1/7 on Microsoft Edge browser then you have come to the right place. 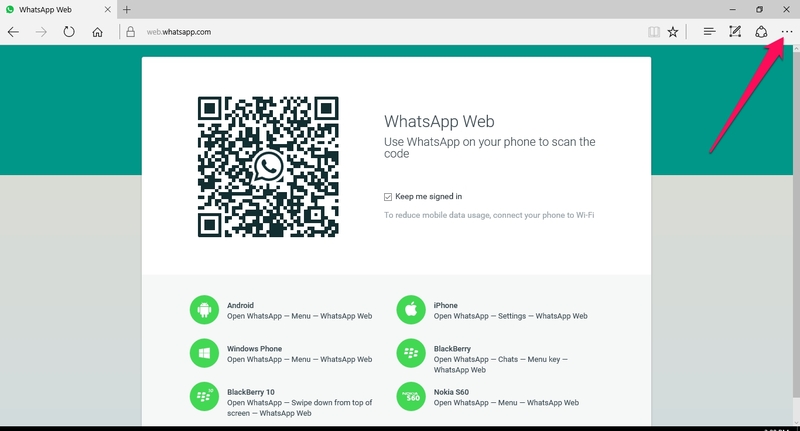 In this post we will talk about how to use WhatsApp Web on Edge Browser on Windows PCs. WhatsApp Web brings all the familiar smartphone features of the app on computers that users can access via internet browsers. You can make audio and video call using PC Windows microphone and webcam. WhatsApp’s industry leading encryption standard ensures that all your communication is safe from hackers. By using instructions given in the following step-by-step guide you will be able to use WhatsApp Web on Microsoft Edge browser. The app is not compatible with the Edge browser yet but with tips & tricks below you can use WhatsApp on Windows anyway in order to get in touch with friends and family. 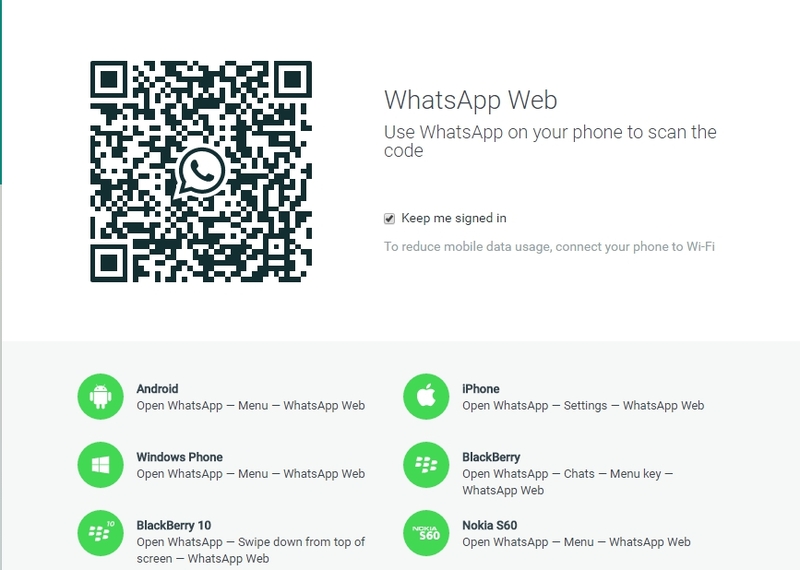 When you type web.whatsapp.com on Chrome, Safari, Firefox a QR code scanning screen opens on the web browser asking you to scan WhatsApp code from your mobile device to activate WhatsApp Web. However, despite scanning QR code on Edge browser your WhatsApp account won’t be activated because WhatsApp Web is not compatible with Edge browser yet. In order to circumvent this restriction, follow instructions below. 2 – Click dotted line on the top right corner of the Edge browser window and select F12 Developer Tools from the drop-down menu. 3 – F12 Developer tools box will open in the bottom half of the Edge Browser Window. Click Emulation tab on the developer tools. 4 – Under Mode there is ‘user agent string’ option with Microsoft Edge set as default browser. 5 – Click on the drop-down box next to user agent string option under Mode and change Microsoft Edge (default) to Chrome, Opera, Firefox from the list. 6 – Close F12 Developer Tools box and refresh web.whatsapp.com page or type the address in new tab. 7 – All done. QR Code scanning on Microsoft Edge should world now. Scan WhatsApp QR code from mobile device to activate the account. Now you can WhatsApp with loved ones straight from Edge web browser. Steps mentioned above will help you chat on Edge until official browser support arrives from WhatsApp. With official WhatsApp Web support for Edge Browser you will be able use WhatsApp normally like on Chrome, Safari and Opera browsers.